With spot-on writing, endearing characters, and deliciously satisfying plotlines, Keep Me Posted proves a hilariously entertaining read. Keep Me Posted is a remarkably insightful look at motherhood and marriage and the horrible wonderful messiness of family life. In turn poignant and laugh-out-loud funny, this gem of a book will have you nodding in recognition at the profound and profane thoughts we've all had in navigating our own lives. This is an irreverent, funny, beautiful tale of learning how to say goodbye to the girl you once were and to embrace the incredible woman you've become. Witty and truthful, a charming but thoroughly modern take on parenting, marriage, and sibling relations in the digital age. This surprising and charming debut was an absolute treat. I loved every minute of this unexpected and hilarious adventure. A devastatingly witty novel that made me laugh out loud, Keep Me Posted gives readers instant kinship with two sisters navigating the depths of marital discord. With a few deft brushstrokes, Lisa Beazley paints her characters so they live and breathe with quirks, faults, and varying degrees of legibility. A magnificently entertaining book with a big heart. 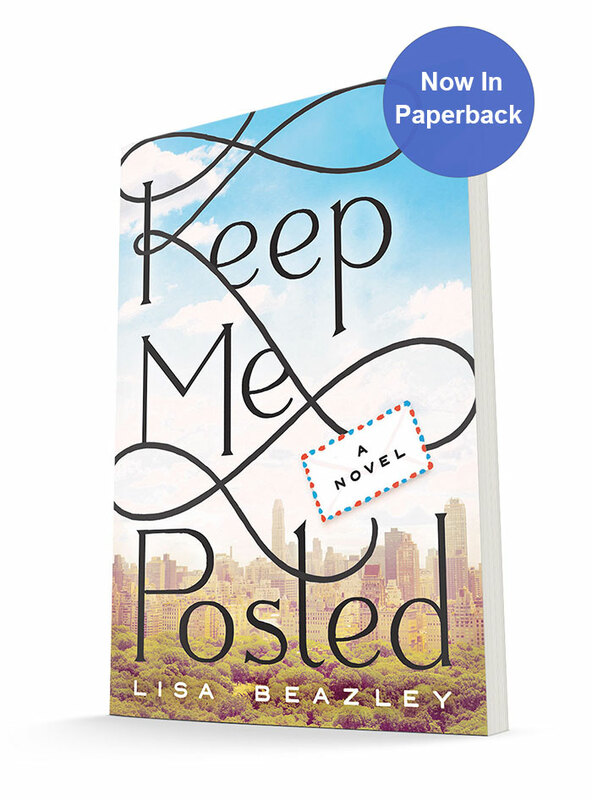 Readers can’t help but root for Cassie Sunday, the funny, flawed and infinitely relatable heroine of Lisa Beazley’s Keep Me Posted... an engaging story that is equal parts comedy and cautionary tale. This novel of two sisters separated by continents and time zones is a treat. Read it! And share it. You will not be disappointed!